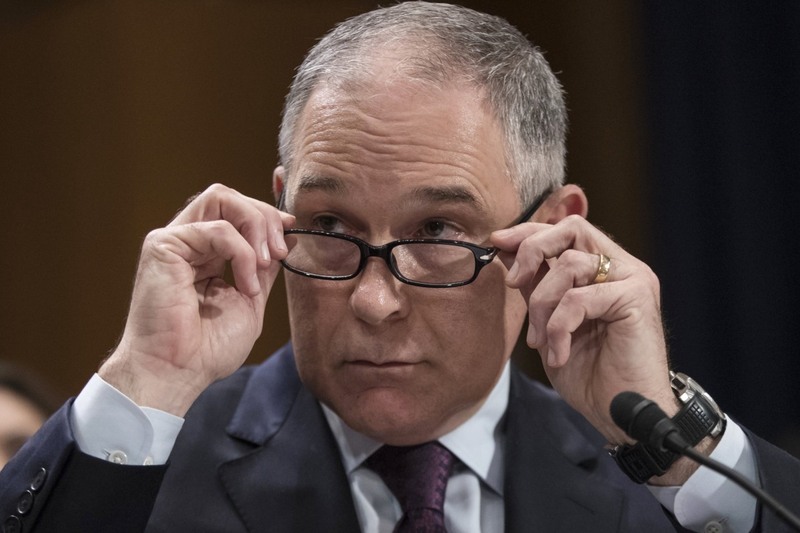 The Director of the EPA (Environmental Penetration Agency), Scott Pruitt, resigns. The Swamp is a much more arid place this morning. Here is a short list of his misdeeds and malevolence toward the environment he was sworn to protect in his 17 or so months in office. The encouraging news, for D.C. diners, is that apparently you can step up to a government official these days, tell them to resign, and they’ll actually do it! 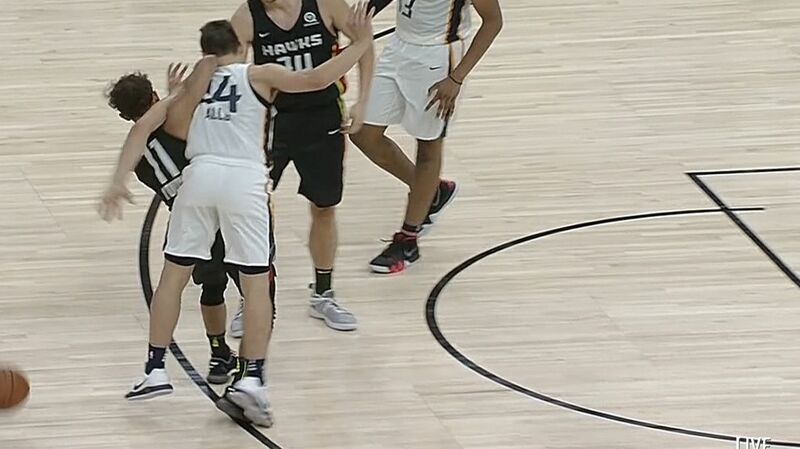 During last night’s NBA Summer League action in Las Vegas, Trae Young (5th overall pick, Dallas to Atlanta) scuffled with Grayson Allen (21st overall pick, Utah). Young has been a cautionary draft tale all spring: he’s short and slight and while he has fantastic court vision, his 3-point shooting % was subpar). Thus far he’s 3 for 24, or about 12.5%, from beyond the arc. Not great, Bob! Both players were T’ed up for this. You just know Grayson will lead the Summer League in technical fouls. Last night the 6’5″ Allen has 11 points, 8 rebounds and 7 assists in just 16 minutes. Of course, you know this is the Summer League because Allen jacked up 16 shots in 16 minutes. Some of us don’t have NBA TV. The Summer League is more entertaining than the NBA regular season because this is like a College All-Star league except half of these guys are legitimately fighting for jobs. The rest are fighting for playing time once the season begins. Maximum fun. This from a dude whom 20 women have accused of sexual assault, not including the two women who say they slept with him (after his marriage to Melania), one of whom likely aborted a child from their sexual congress. Listen, we of all people here at MH get it. Why work when you can just travel and post videos of your lifelong vacation and then hopefully somehow someone will sponsor your exploits???? (personally, we’re just waiting for an extremely generous gift from the Susie B. Foundation). The site: Shannon Falls, British Columbia. Three poachers infiltrated the Sibuya Game Reserve in South Africa to hunt rhinos and instead got the (final) surprise of their lives when they were tracked and eaten by lions at the reserve. And this is the strongest evidence that karma may just exist. We’d like to apologize to all of our readers for running that owl piece yesterday and never using the phrase, “a real hoo-dunnit.” We’ll be better. We have to be. A dozen or so years before there was the supergroup Asia, made of musicians who were already accomplished and famous, there was Blind Faith. The band, composed of Steve Winwood, Eric Clapton and Ginger Baker, released only one album, eponymously titled, in 1969. The group, made up of former Traffic and Cream members, went on a brief tour but, like Asia, barely had enough material to fill an hour much less a set. Clapton became disillusioned and left the band after the tour. We’re gonna now cheat here and also include our favorite Blind Faith tune, which we’ve run in this space before. But here’s a live version performed relatively recently. The soccer staff at MH believes, quite ardently, that these are the two best sides remaining at the World Cup. So why are they meeting in the quarterfinals??? Tune in for the soccer, stick around for the melodramatic Neymar death scene.